Teresa is everything her father Sir Hubert Bryan could wish for clever, loyal and sharp-witted. The only problem is that she was born a girl and not the son he hoped would follow in his footsteps. But Teresa sees no reason why her gender should prevent her from being an asset to him in his mighty shipping empire, and tells him so. 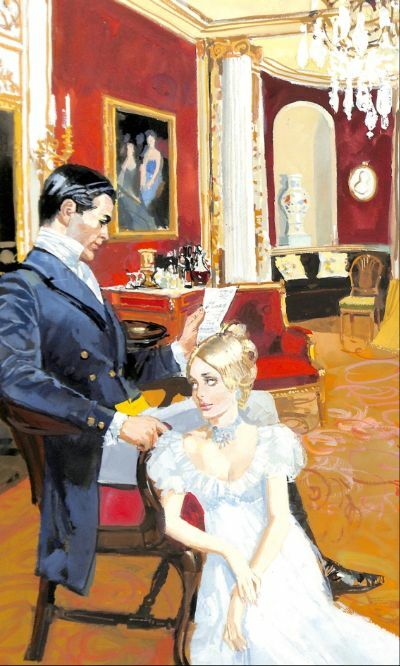 Sir Hubert is astounded at her request he is far more concerned that his beautiful daughter will fall prey to the scavengers and fortune hunters amongst London Society. Having made his own vast fortune the hard way he is only too aware of what men will do to have access to the kind of wealth his lovely daughter will inherit. So when his dear friend the Marquess of Walstoke begs for help to prevent his heir Harry, the Earl of Lanbourne, making a disastrous marriage to a notorious actress he sees an opportunity to help his friend, and set a test of intelligence for his daughter too. Together, the two men hatch a plot to save’ Harry from himself and prevent him from ruining his life. Promising her work in the family business, Teresa agrees to her father’s pleas to play a central character in a daring deception. But Harry is not a fool, and astounded at his uncle’s lack of faith in him he storms off to Bourne Hall, his family estate, taking Teresa with him. Teresa is torn; she loves her father but the longer she spends with Harry the more her loyalties are tested. Experiencing strange new feelings, she begins to have her own reasons to make sure that Harry puts the past behind him. But are these reciprocated? Or is Harry destined to shake the foundations of Society by making his flame-haired actress the new Countess of Lanbourne?